A complete edition of the action RPG called Shadows: Heretic Kingdoms, which comprises both the first part of the story and the second chapter, which initially was intended to be available in the form of a free (but not standalone) DLC. Shadows: Awakening is another installment in the RPG series called Heretic Kingdoms started back in 2004 by Heretic Kingdoms: The Inquisition. Awakening constitutes a complete edition of Shadows: Heretic Kingdoms, the first chapter of which has been published in 2014, while the second one was supposed to become available later as a free, yet not standalone, DLC. After bitComposer Games – the company responsible for publishing the original release – filed for bankruptcy, the rights to the game have been purchased by Kalypso Media. The developers of the original release – Games Farm – have been tasked with working on the Awakening edition. Interestingly enough, the new publisher kept the promise made by the former one, to release the game to all those who own an original copy of the game as a free update downloadable from GOG and Steam. Apart from PC / Windows, the game described herein is available on Xbox One and PlayStation 4. 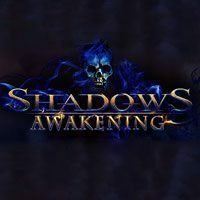 In the PC, XONE and PS4 release of Shadows: Awakening, a player gets to explore a fantasy world of Kingdoms of Heresy engulfed in chaos soon after the demons known as Devourers have taken the control over the celestial bodies of the murdered members of Penta Nera. The Devourers are able to take control of astral bodies of their victims along with their personalities and memories, thus gaining access to the material world. This resulted in them starting a war for power and immortality, posing a threat to the entire world. One of the Devourers, who is a central character in the game, differs from his kin – he can consume not one but many souls, thus he is summoned by the fifth member of Penta Nera. From now on, the Devourer in question is tasked with assembling a team of heroes and stopping the threat before it is too late... unless he decides to take a different path. In Shadows: Awakening, players observe the action from the top-down perspective. During the game, one gets to traverse various locations, fight hordes of enemies, and complete numerous quests (both story-related and side quests) assigned by NPCs. The developers from Games Farm have given at players' disposal fifteen characters diversified in terms of their specialties, combat skills, and personalities – this group includes heroes praised in songs, as well as shady individuals and monsters. One can choose three protagonists out of the aforementioned group – on his journey, a player can switch between the chosen characters at any given moment – due to the unique abilities of the demon, he can transform into a selected hero. Moreover, one can also assume the role of the Devourer and travel to the alternate dimension inhabited by monsters – this way, a player can face opponents who do not exist in a physical form, sneak past them, and solve some of the logical puzzles – all this to push the story forward. As the story progresses, a player gets the access to more powerful pieces of equipment – this means weapons and armor protecting one's character from the damage; all the items can be improved using the elaborate crafting system. Also important are the experience points a player gains for eliminating his adversaries and completing consecutive quests – heroes level up and unlock increasingly powerful combat abilities. The PC, XONE and PS4 release of Shadows: Awakening features decent 3D visuals – even though they are not top-quality, some elements, such as the special effects accompanying the most powerful spells are bound to satisfy many players. Moreover, the audio layer of the game deserves praise – all the dialogues feature voice acting, and on their journey, a dedicated and atmospheric soundtrack accompanies the players.